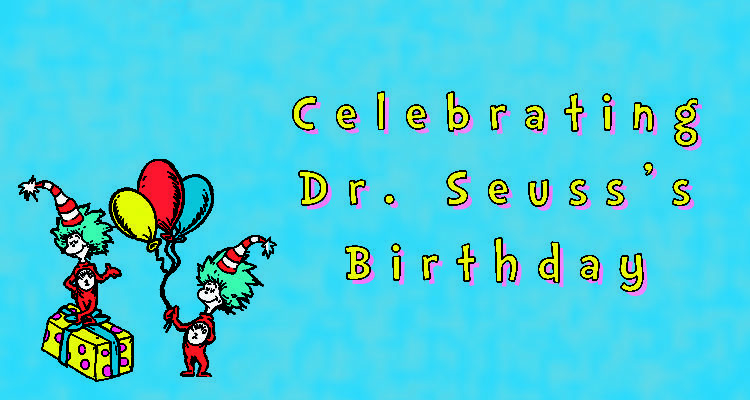 Dr. Seuss is known all around the world for his whimsical characters, colorful illustrations, and captivating stories. He is an author that is beloved by children and adults, generation after generation. In honor of his birthday we have come up with a few ways for you to celebrate the memory of an author that has touched our hearts and imagination for decades. Activities For Your Favorite Books – This list from We Are Teachers provides you with a variety of activities to compliment you and your children’s favorite Dr Seuss books! Spend some time today sitting down and sharing your favorite books then spending working on fun and educational activities! Make Seussical Snacks – Another great way to celebrate is to make some Dr Seuss inspired snacks! Whether it’s green eggs and ham or the Cat’s hat, your little ones will have so much fun spending the day making treats to enjoy with the whole family! Colorful Crafts – Crafts are not only fun for your little ones but can help with their cognitive development. Crafts can be used as a way for your little ones to identify shapes, colors, and build dexterity. These Dr Seuss crafts are sure to keep you and your little ones happy! Donate A Book – If you are looking for a unique way to honor Dr Seuss, try donating some of your gently used children’s books! You can donate books to local libraries, thrift stores, or local shelters. Big book stores also often have the opportunity to donate a book with a purchase! Spread the cheer so that all children can have the chance to enjoy the wonderful worlds of Dr Seuss. Read! – Lastly, the best and easiest way to celebrate Dr Seuss is to simply, read! 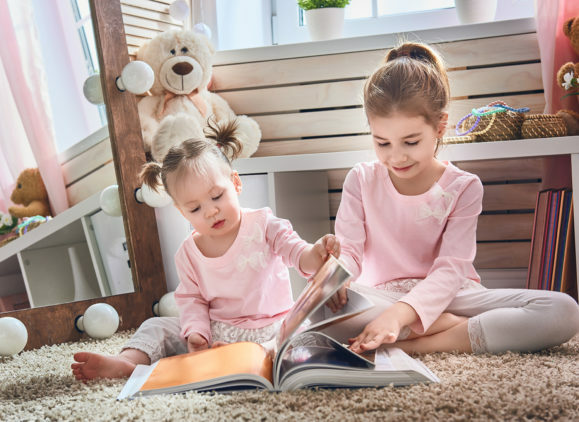 Whether you’re going to the library, a book store, or your own book shelf, pick out a few of your favorite Dr Seuss classics and spend some quality time together just reading and enjoying family time! We hope you are inspired by some of these ideas and choose to celebrate Dr Seuss’s birthday with some of his classic stories. 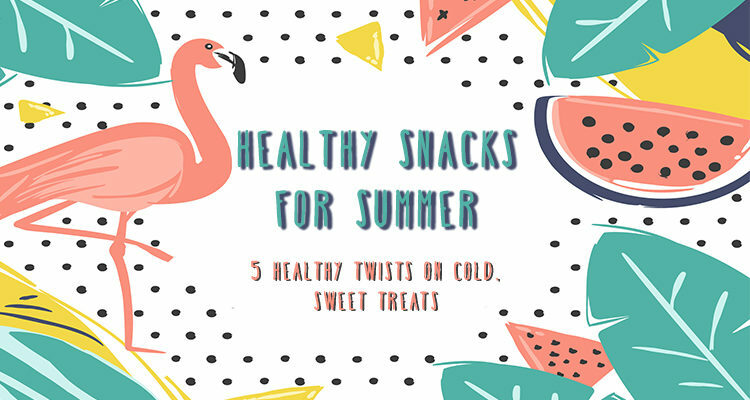 Let us know in the comments if you and your little ones tried out any of these crafts or yummy snacks! Click share on the side of the blog to remind your friends and family to embrace their inner child today! Door Basketball Hoop: What a cute idea for the little one that loves to play sports! Paint the back of their door with black chalkboard paint, attach a cheap basketball net that you can get from Five Below, hot glue a plastic tub to the door for chalk, and you have an instant basketball court for your little ones to play with! Activity Table: If you have an old table laying around, or even an old, smaller kitchen table that you can cut the legs down on, grab some paint and a round metal bowl, and get to work. You can paint the table with your child any color that you want – you can even decoupage it or the chairs for a really cool added detail – and if you cut a hole in the center of the table and hot glue a metal bowl into the hole, you have an area to hold pencils and art supplies! What a great idea! Silhouette canvas art: Don’t purchase expensive canvas artwork for your child’s’ room – download free stencils instead and have your little one create their own artwork! They will be excited to paint, and even more excited to hang their beautiful creation on their wall! Simply tape the stencil to the canvas, and paint the entire surface. Once dry, remove the stencil and you have a cute piece of artwork that you can hang on your child’s wall that they will be proud of. Photo Collage on a Letter: Kids love this project. It is simple, cheap, and a great way to encourage gross motor skills. You can head to any arts and crafts supply store and purchase a large foam or wooden letter, print a bunch of important photos of your child and your family, have them choose which ones they like the best and use double-sided tape to stick them to the letter, making a collage. You can apply decorative stickers for an added effect and a hint of extra cuteness. Once you have placed all of the photos where you want, paint a layer of Mod Podge overtop, wait for it to dry, and then paint a second layer to seal in the photos. Instant letter-shaped photo collage! Checkerboard table: If you have a smaller table and chairs for your child (The IKEA’s LACK table is the perfect size and price, about $10), you can transform it into a checkerboard table with some paint, tape, a ruler, pencil, and some creativity. Once you have laid out the tape and created the squares, you can use small cork rounds that fit inside of the squares on the table. 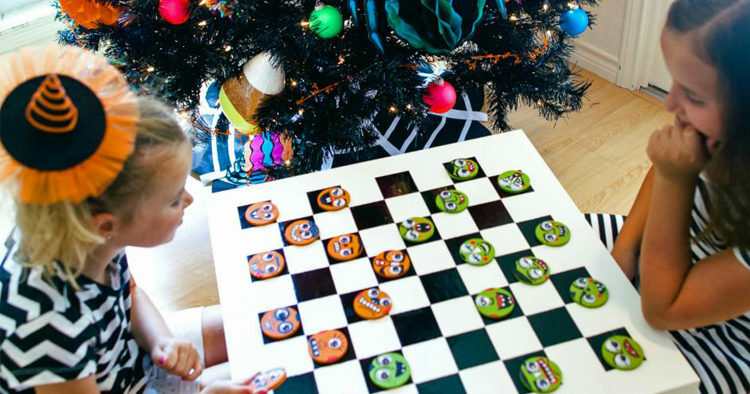 Use googly-eyes, paint, markers, and other items to decorate the 24 round pieces so that you can a creative, cute checker set! These are just a few ideas that we found over at HGTV’s website. For a full list of DIY decorating tips, head over to their website and get full directions for the ideas listed above as well as more! It doesn’t take much to make a kids room look completely different, and with the creativity and items that you may have laying around the house, you can encourage your child to think outside of the box and help make their room a space that they love. New Year, New Me. That’s the old saying, right? Every year we partake in the age-old tradition of making a New Year’s Resolution list. Some of the items we stick to, some we don’t, but the important thing is that we recognize where we should improve our lives and we try to. So why not extend this to our children? This can be a fun way to get kids to understand healthy eating habits, learn new skills, or even learn to be appreciative of our planet. 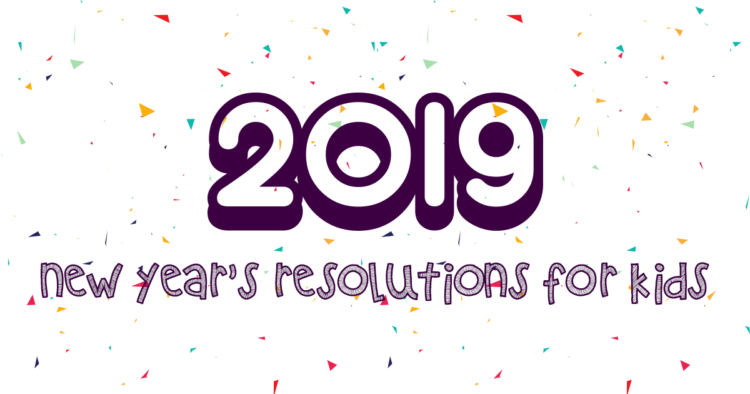 Here are a few resolutions that you can possibly make with your child, as well as a FREE PDF Resolution List printable at the end of the post for your kids! Acts of Kindness: This one can help to set instill a sense of giving to your child, or even help break them out of their shyness. For an outgoing child you can try “I’m going to do one random act of kindness a week,” whereas for a quiet child, trying “I’m going to talk to one person at school I don’t talk to each week,” can be a great way for them to include others, help them break out of their shell, and perhaps forge a new friendship that will last a lifetime — you never know! Being eco-friendly: This is a resolution that we should all try to stick with and can be an entire Family-based activity. We have learned the importance of recycling before, and we even have Supercan from the ACUA stop by each year to visit the children in our school, but there are other ways to help the environment as well: use less water, turn off lights, don’t litter, and walk/ride bikes instead of driving. Learn new skill: Learning a new skill doesn’t have to be anything intense like learning a new instrument (although that is a wonderful thing to do! ), you can have your kids learn simple skills like baking cookies, doing dishes, or learn to use a new educational app on the tablet. Make learning a new skill fun and a child will learn more — they are sponges when engaged! Exercise more: Instead of just saying “I am going to exercise more,” get specific — “I am going to do Yoga class with Mommy on Saturdays.” If you make the resolution very specific, you are much more likely to stick with it. This is a great tip for the grown-up Resolutions List as well! More family time: Along with “more exercise,” this one should be specific also: “we are going to eat breakfast together every Sunday morning,” or “We will have game night every Friday!” This resolution is easy, fun, and is oh so important, especially with our busy lives! We hope you enjoyed this short list of resolution ideas for your children. Please download this PDF printable New Year’s Resolution list to help your children create — and stick to — some resolutions for 2019. We hope everybody has a safe, healthy, Happy New Year! Trunk or Treat at the George H. Wimberg Funeral Home, 1707 New Road, Linwood – Saturday, October 27, 1-3pm. Partnering with local Police and Fire Departments, this tunk or treat is completely free of charge and includes face painting, candy, safety demonstrations and much more! The only request is to please bring a gently used book as a donation! EHT Trunk or Treat – EHTHS Parking Lot, October 13th, 3-5pm. The 3rd Annual EHT Trunk or Treat is a safe, fun, family event featuring music, games, and contests. Admission is $5 per child or $10 per family if 3 or more children. Northfield Family Friendly Halloween Hayride, Birch Grove Park, every Friday and Saturday through the end of the month. Every year Birch Grove Park holds their family-friendly hayride: a nighttime ride through the park decorated with fun ghosts, dinosaurs, and other family-friendly items. Addmission is $5 per person. Historic Smithville’s Costume Pet Parade, 615 E Moss Mill Road, Smithville, Saturday, October 20 at 1pm. Hosted by Paw Dazzle, this annual parade boasts over 100 dogs dressed up in their little costumes! Ocean City Exchange Club’s 71st Annual Halloween Parade, Asbury Avenue between 6th and 11th streets, October 25 and 7;15pm. Floats, cheerleading and drill teams, antique cars, costumes, and much more. Boo Bash Halloween Party, Boscov’s, 6725 Black Horse Pike, October 27, 1-4pm. 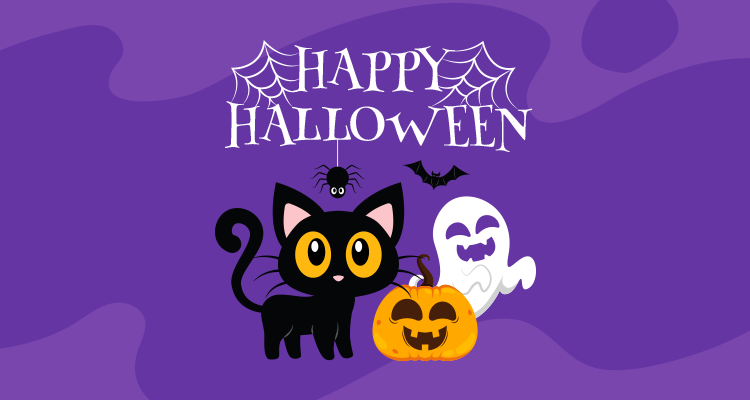 Come dressed in your Halloween costume and parade through Boscov’s to trick-or-treat throughout the store. Also featuring crafts, games, contests, and prizes! Open to children 12 and under. 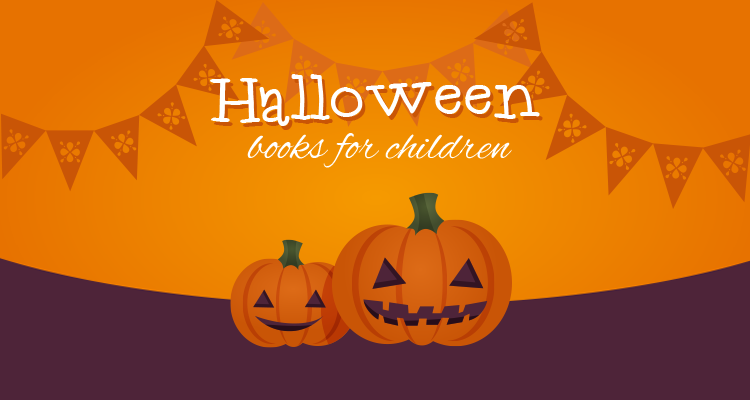 Have you heard of any other Halloween-themed events for the little ones? Please share them in the comments below! Gardening with children has many benefits including developing fine motor skills, learning valuable life skills, and building confidence. However, if you are a first time gardener, introducing you children to the world of gardening may seem like a daunting task. Fear not, we have some tips for you that will help make the process a little easier and more fun! Gardening with children doesn’t actually have to start in the garden. An important step to gardening is teaching your little ones about what they will be growing and how different fruits and vegetables form. Thanks to Mama’s Happy Hive we have a few activities that will get your little ones interested in what you will be growing in your garden! 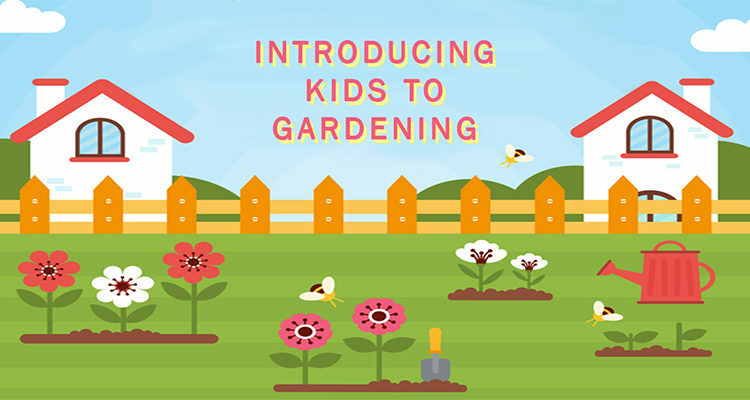 A great way to introduce your little ones to gardening is to start with learning what will go into your garden! Make your own flashcards with pictures of whatever fruits, vegetables, and plants will go into your garden. Then, have your little ones match the real life fruit and veggies to the cards! If you have older children that are interested in gardening you can write out what different gardening tools are used for and have them match the use with the object! A fun way for your little ones to learn more about how fruits and vegetables grow is to let them dig right in! Start with small and squishy fruits like tomatoes. Your little ones can easily get into the middle of a tomato and look at the seeds. This is a fun and interactive way for your little ones to learn more about how things grow. Another matching activity to help your little gardeners identify seeds! Take some seed packets and empty their contents into different cups. Show your children which seeds are associated with each fruit or vegetable. Then use the packets of the seeds and the pictures you have from the first activity and let your children match the seeds to the picture of what they will become and to their seed packet! We hope you decide to give these activities a try with your aspiring gardeners! Even if you aren’t planning to garden with your little ones, they might still enjoy tearing into a tomato and finding the seeds! Let us know in the comments if your family enjoys gardening together! Remember to click the share button to share these tips with your friends and family! Today is National Picnic Day! So in honor of the holiday we’ve created a list inspired by the Funaatticof a few different ways you can make your picnic more exciting! 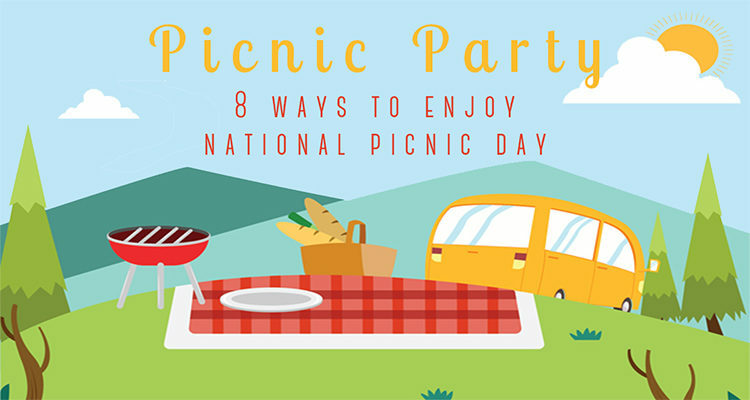 Whether your family has never been on a picnic before or it is a regular summer tradition, we have some fun ideas for you! Have a picnic in your back yard!A great place for your first picnic is in your back yard! You won’t have to lug a ton of food to a park just to realize you forgot forks! Starting in the backyard is a great way to practice your picnicking skills! Have a picnic on the water! Whether it’s on a boat or a dock, picnicking out on the water will be a beautiful family outing. Have a picnic lunch and then go for a swim out on the water! Let you’re your little ones plan the food!Have your children help you plan the meal for the picnic. Your older ones can help you make some of the food and your little ones can help pack the basket. Getting everyone involved can make a family gathering so much more special! Create a food rainbow!Get some fresh fruits and veggies to create some delicious and nutritious food rainbows! Play a game with your little ones to see how many different colors they can find in their food! Start a campfire!You don’t need to go camping to have an excuse to start a fire! Bring all the ingredients for smore’s and even bake a potato or heat up some warm picnic food over the fire! It’s perfect for dinnertime picnics. Make some funny food faces!Making faces in your food is a way to make picnic food more fun for your little ones. Whether it’s with veggie slices or cut into bread, food smileys are a way to make your little ones smile. Make it a treasure hunt!Hide little toys and notes in the wrapping and containers of your picnic! It’ll be a fun surprise for everyone to find a special something throughout their meal. Enjoy the day!Make sure to enjoy the meal! Eat slowly and soak in the family time. Picnics are a great way to enjoy a meal together outside of your dinner table. 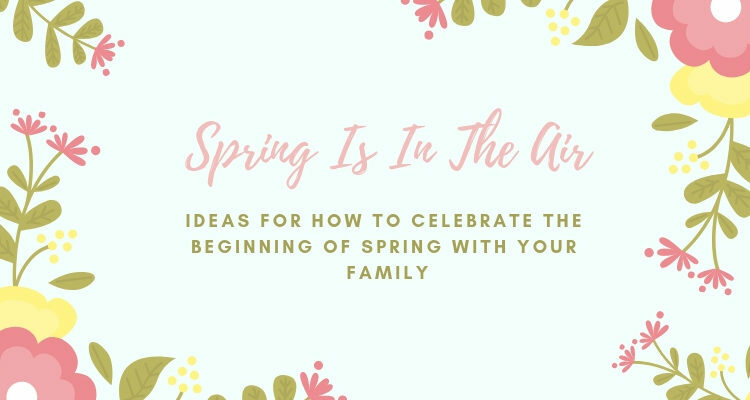 We hope you enjoy some of these ideas and decide to make picnics a summer tradition in your family! Tell us in the comments about how your family enjoys a picnic! As always, click the share button on the side of the blog to give your friends and family some picnic inspiration!